I’ve been posting a lot of pipes on eBay for my dad over the past few weeks. I’ve never really known anything about them (except for how to use them, shhhhh). Surprisingly though, people will pay a real mint for the nice ones. But, which ones are the nice ones, and which ones were purchased at your local Rite Aide? Luckily for me, there is a ton of information available online, and my dad has been collecting them since before I was born (i.e. knows almost everything). Get familiar with terminology so you don’t sound like a newbie. Most of the names for parts make sense but, like most things that are ubiquitously used, some terms fluctuate with material and region of origin. Inside the bowl are its “walls,” and around the rim is its– well– its “rim.” Sometimes between the pipe’s “stummel” and its “stem” is a metal “band” or a “spigot” and Dunhill introduced an unique feature called the “inner tube.” This is a metal fitting that connects the stem to the wooden stummel. If it’s got a name, it’s probably worth buying. Yes, some are worth more than others, and if you’re buying from someone who knows more than you, you’re probably not going to make money by reselling it. However, if you’re rooting through a thrift shop, a local antiques mall, a yard sale, or flea market, you might be in the money if you find one with a name that costs less than $20. Higher than that: take a gamble or ask an expert. 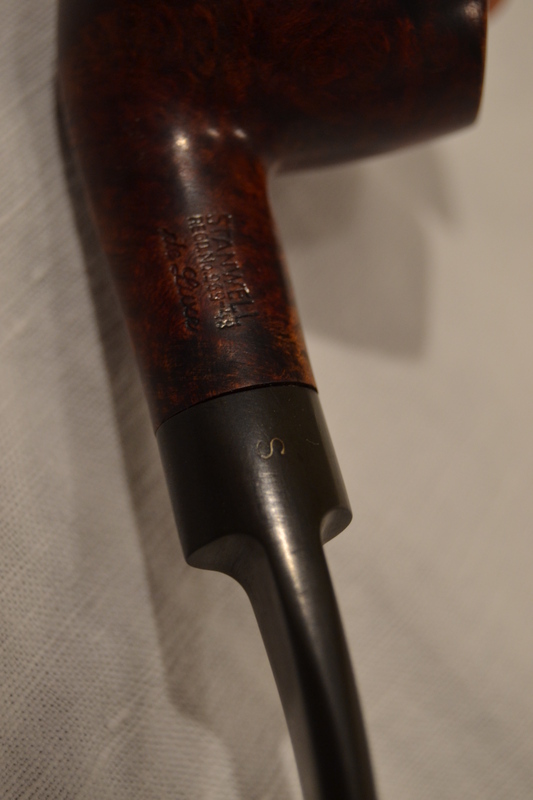 Dunhill has been around for a hundred years. They’re originally from London, England and always catch a good price. 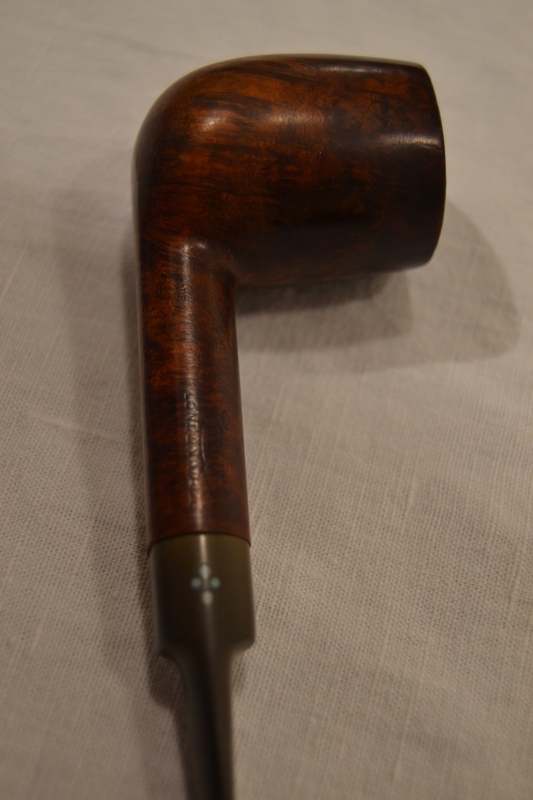 Some are worth more than others, but if it’s a Dunhill, it’s a good pipe. Also, if it says “Parker,” it’s a Dunhill spin-off and still a great buy. 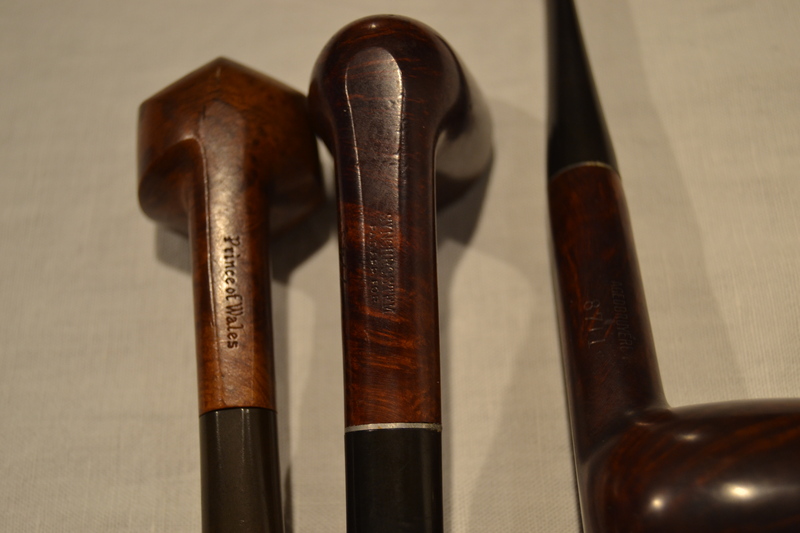 Savinelli, Calabash, and Stanwell are all lookers that both sell and smoke well. 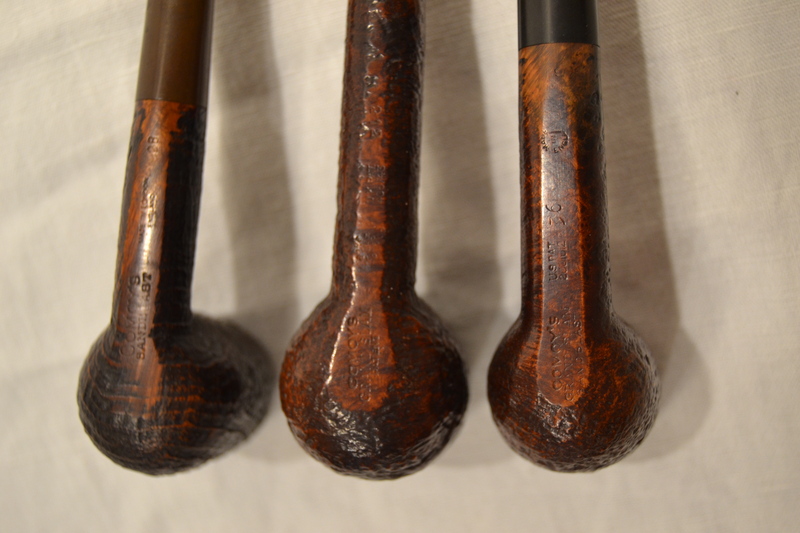 Look for Kaywoodie and Triple B (BBB) for their bands between the stem and shank. 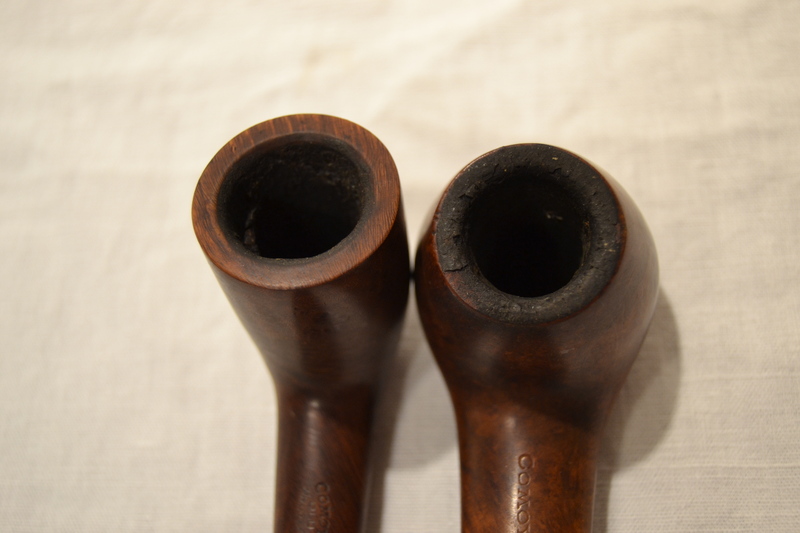 Ascorti, Sasieni, and Stanwell are great pipes you can often find for a good deal. Really, anything with a name automatically puts it in a higher level of quality. Often, pipes will not be cleaned before they go up for sale. Look for “caking” at the bowl (this is from tar) and burns at the rim. Make sure there are no cracks or holes. Give the pipe a try and see how it draws. Stick your thumb over the bowl and blow. Any leaks? 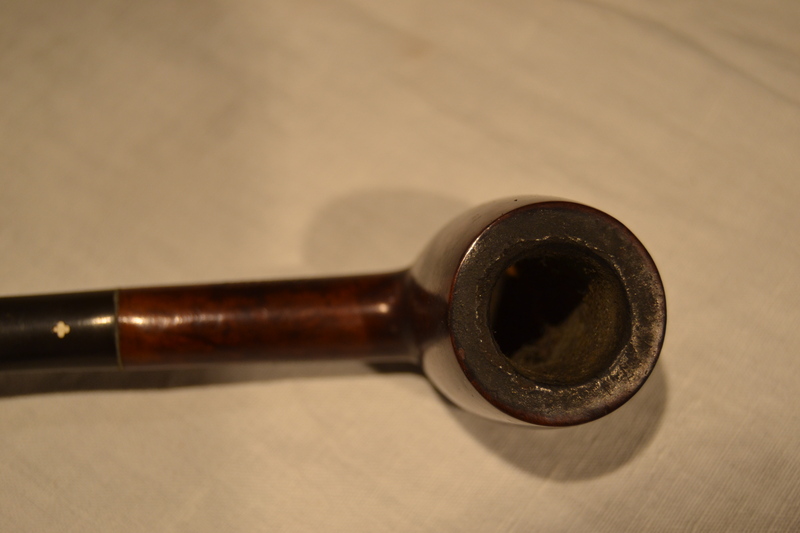 It’s always a good idea to check to see if the stem is an original to the rest of the pipe. Sometimes they will be marked, sometimes not. Is it cracked, chipped, or faded? How worn is it? Would you smoke it as is? Heavy pipes require a strong jaw to keep them upright. Many pipes will have bite marks at the bit and this detracts slightly from the value. Check also the “lip,” “button,” or “bite.” These will sometimes be chipped from wear or being dropped. 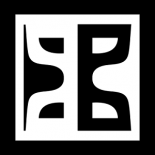 — Check out Pipedia.org! It’s a wiki all about tobacciana and it has reams of information. — Check out my dad’s eBay store! 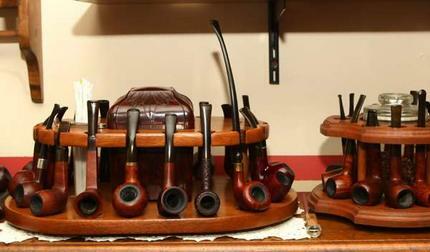 It’s got a half dozen pipes up for sale every week. You might just get lucky and find one you can’t smoke without. I’ve still got lot’s to learn. But it’s not like these are going out of style anytime soon. 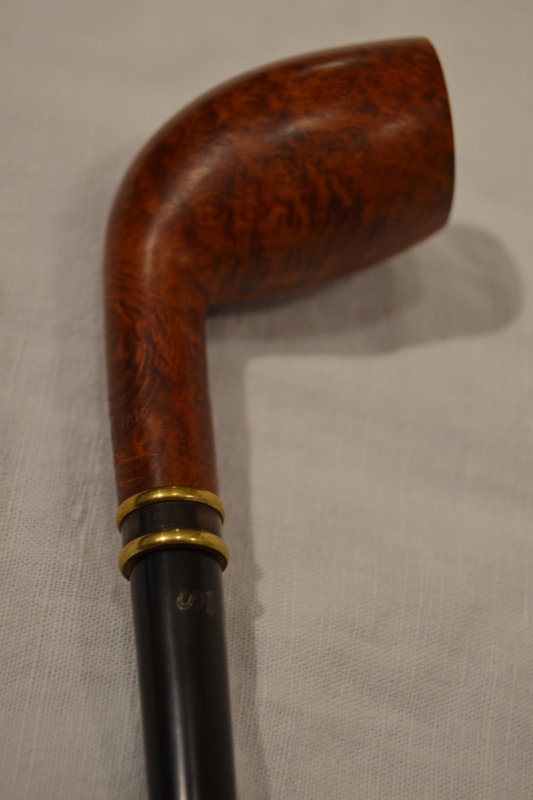 This entry was posted on June 5, 2014 by grahamtbaden in Antique Envy and tagged antique pipes, ascorti, bbb, calabash, dunhill, kaywoodie, pipes, sasieni, savinelli, smoking pipe, stanwell.